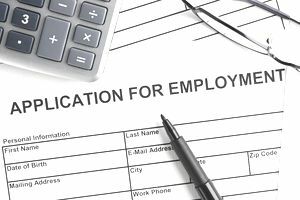 When you're filling out a job application, you may be asked for your employment history. So, what exactly is an employment history? How do you find it? Your employment history is a list of all the jobs you have held including the companies you have worked for, job titles, and dates of employment. In some cases, the hiring manager may only be interested in where you worked for the past few years. In others, the company may want an extensive employment history going back many years. If you’ve been working for a long time, this may sound like a daunting task, but it is something you can do yourself with a little investigation. It can be hard, especially if you’ve had a lot of jobs, to keep track of your personal employment history. However, when you’re applying for new positions, many companies want an accurate record of where and when you worked, especially when they’re conducting employment background checks. (Here’s how to prepare for a background check). If you don't remember the details, and many people don't, you can recreate them with information from the Social Security Administration, Internal Revenue Service, and prior employers. It's important to provide prospective employers with accurate information. Don't guess where you worked when. If the dates don't match what the employer discovers about you when they verify your employment history, it will be a red flag and could jeopardize your chances of getting hired. Do keep in mind that you can include the months/years you worked at a company rather than specific dates of employment on your resume. Keep in mind, however, that some job applications may require more details. What can you do when you don't remember your exact dates of employment? It will take some time, but you can recreate your employment history yourself for no cost. Even though you may be tempted by ads for companies saying they will do it for a fee, you don't need to pay a company to get the information for you. State unemployment agencies can often release employment histories for individuals, as long as they worked for in-state employers. In Washington State, for example, it’s called a Self-Request for Records, and you can request back as far as ten years. The best part is the request is free. You can receive a statement of your employment history from Social Security by completing a Request for Social Security Earnings Information form. You’ll receive detailed information about your work history including employment dates, employer names and addresses, and earnings. The Social Security Administration charges a fee for detailed information based on the length of time for which you would like to receive records. If you have saved copies of your tax returns, you should have your copies of your W2 forms, as well. That will give you company information, and you should be able to estimate your dates of employment. You may be able to request copies of past tax returns if you don't have your copies. Here's how to get transcripts of your tax returns online or by mail. You can also reconstruct your employment history by contacting the Human Resources department of any former employers where you worked, but you’re not certain about your start and end dates of employment. Let them know you would like to confirm the exact dates of employment that they have on record. For future reference, an easy way to keep track of your personal employment history is to keep your resume up-to-date. Add the new information whenever you change jobs, receive a promotion, add new responsibilities, record a significant accomplishment or receive any awards. That way you will have a current copy of your work history for whenever you need it. Even if you don't include all those jobs on your resume, and you don't need to, save a master copy that includes your work and educational history in its entirety. That will make it much easier to provide the information employers require on your resume and in job applications. Creating and updating a detailed LinkedIn Profile is another excellent way to maintain current documentation of your employment history, educational background, and accomplishments.